“I am the Offroad representative for the Women’s Commission and have been involved in the promotion of different Offroad initiatives for Women since October last year. I want to give a summary of the types of activities that the Women’s Commission has been involved in from an Offroad perspective. 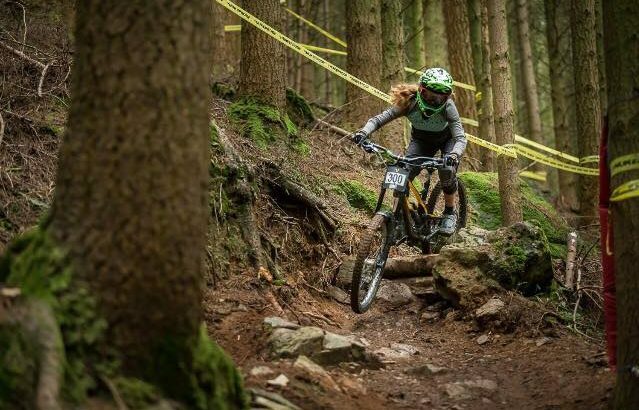 This includes Cross Country Mountain Biking, Downhill Mountain Biking, Enduro Mountain Biking, Cyclo-cross and general non-specific Offroad skills. 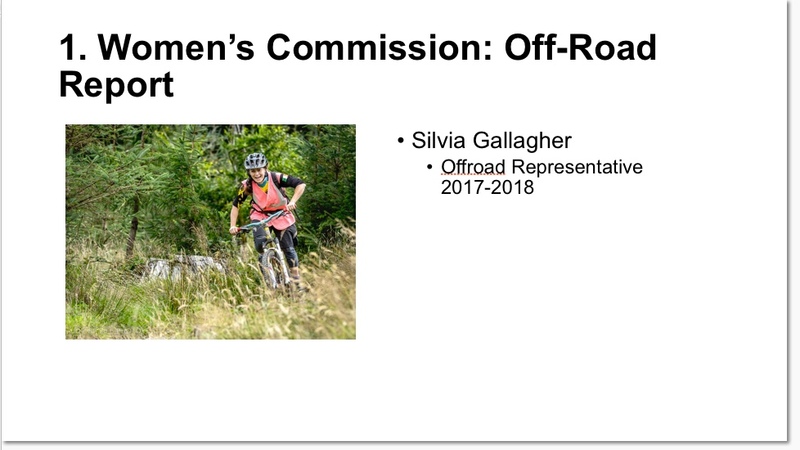 Just to note that I serve a dual role in that I am also the Women’s Representative on the Offroad Commission. The Women’s Commission was involved in an Offroad capacity in three main areas; improving communication about Offroad activities, supporting Women’s Commission bursaries to Offroad riders, and supporting skills training for enduro, downhill and cyclocross riders, as well as general Offroad skills. Twenty-four race reports were also created throughout the year with the input of Offroad riders. 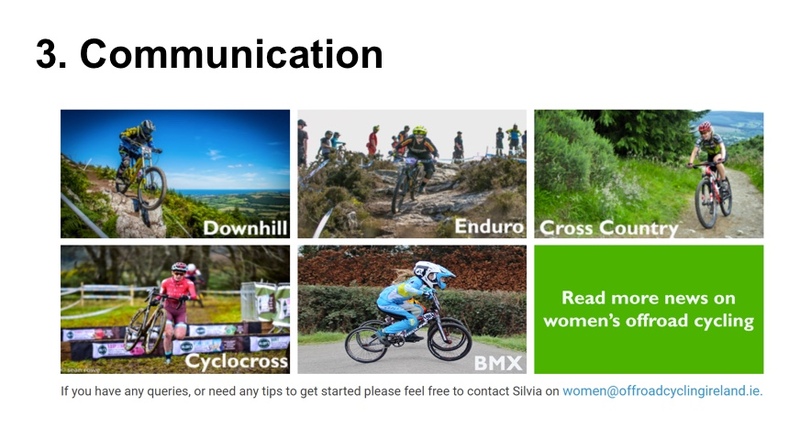 We would like to thank each rider who created a race report for the Women’s Commission website, which drew traffic, interest, and visibility to disciplines that are lesser known to the wider cycling community. These reports were also shared on Facebook, with many smaller postings promoting Offroad events, photos and results. Multiple email queries were also responded to by the Offroad representative from new and existing riders. 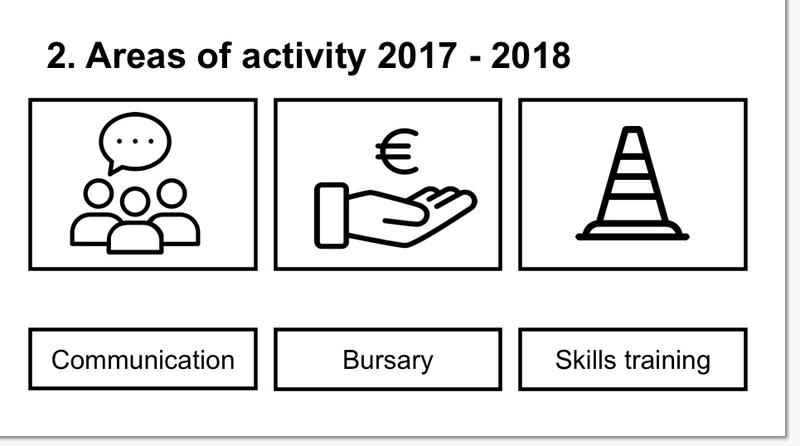 The Women’s Commission bursary scheme supported four Offroad riders in 2017-2018; namely Leah Maunsell, who rode in the Enduro World Series U21 category, Caoimhe May, who rode in the UK National Cross Country Series Junior Category, Hannah Mullen, who rode in the Youth Mini Downhill Mountain Bike race in Fort William, and Maria Larkin who will be riding multiple Cyclocross races this winter with our support. Finally, skills training for rider development was provided throughout the yearboth through Women’s Commission funding and volunteers. This included enduro training with Glynn O’Brien in Tollymore Co Down, Downhill training with Colin Ross in Rostrevor, Co Down, two cyclocross training sessions with Andy Layte and Beth McCluskey at the National Sports Campus in Dublin, and two general Offroad skills sessions with me in Ticknock, Co Dublin and Derroura, Co. Galway. 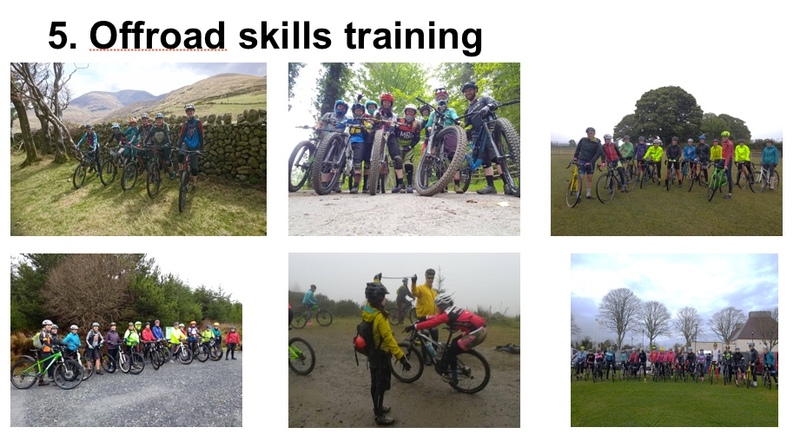 In addition, Michelle Muldoon was involved in youth mountain bike skills development on one of the youth training days. In total, over 100 women attended these events, with a number being oversubscribed with waiting lists. Thanks for your attention, and apologies for not attending. I would love to hear your suggestions for 2018 – 2019 and please contact me with any queries.